The wonderful thing about the summer is remembering how lovely it is to lose yourself in a book. 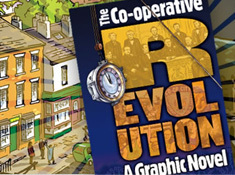 My own delight is somewhat reduced by the fact that I have a desk full of books I should have reviewed around a year ago, but leaving that aside I would like to share one with you today: The Co-operative Revolution, a graphic novel by Polyp. 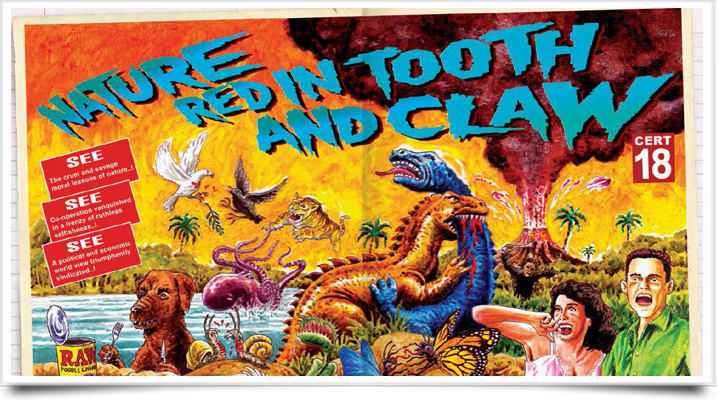 This is an ideal book for children or grandchildren you may be having to entertain this summer. It is a story of the ongoing adventure of co-operation in three sections: past, present and future. The historical section packs in information about the Tolpuddle Matyrs, Peterloo and a host of other iconic working-class events, together with the bare bones of the story, and the promised graphic illustrations. The culmination, inevitably, is the Rochdale Pioneers and their decision to liberate themselves from capitalist shop-keeping. The final image is the grave of George Holyoake, appropriately next to George Eliot in Highgate Cemetery--another excellent outing for young people and those looking after them in London this summer. The middle section tells the amazing story of the global co-operative movement today. This section is rather heavier on data and may be a little too worthy for some young people (or older people!) But the short interlude spent with the Brukman Street Gang (telling the story of Argentina's empresas recuperadas) helps to lighten the load, to coin a phrase. The sections on the inevitability of co-operative at the biological level is one in the eye for Richard Dawkins et al. and reinforced the need to join the co-operative evolution rather than revolution. Finally, we have Polyp's vision of the future of co-operation, a futuristic fantasy where an entirely politically correct workers collective called Rochdale Aerotech successfully equip a future Mars exploration project with special 'atmosphere parachutes'. I must confess that this section strained my bioregionally honed senses to breaking point, but it might find more favour with those who still see Forward to Mars as a promise rather than a threat. The book is a wonderful inspiration with all the key players and a concluding co-operative timeline that would be useful in the classroom as well as for reading on the beach.